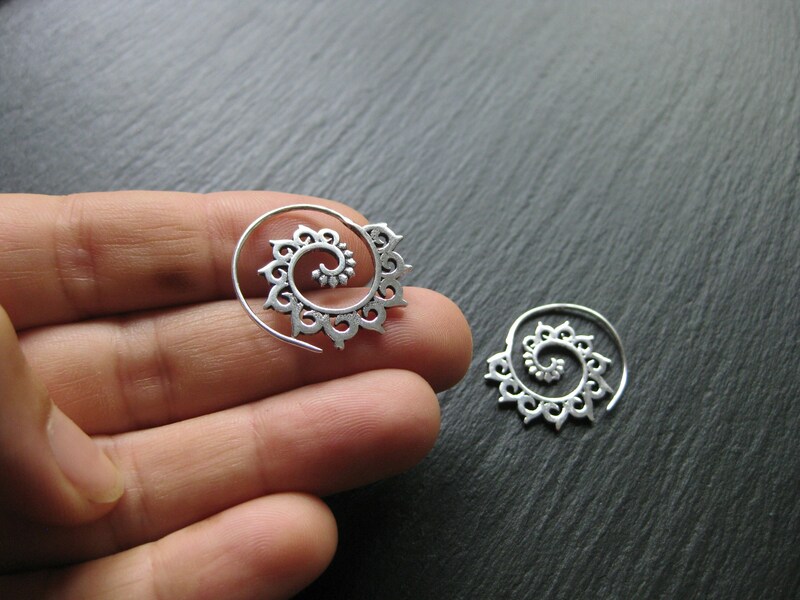 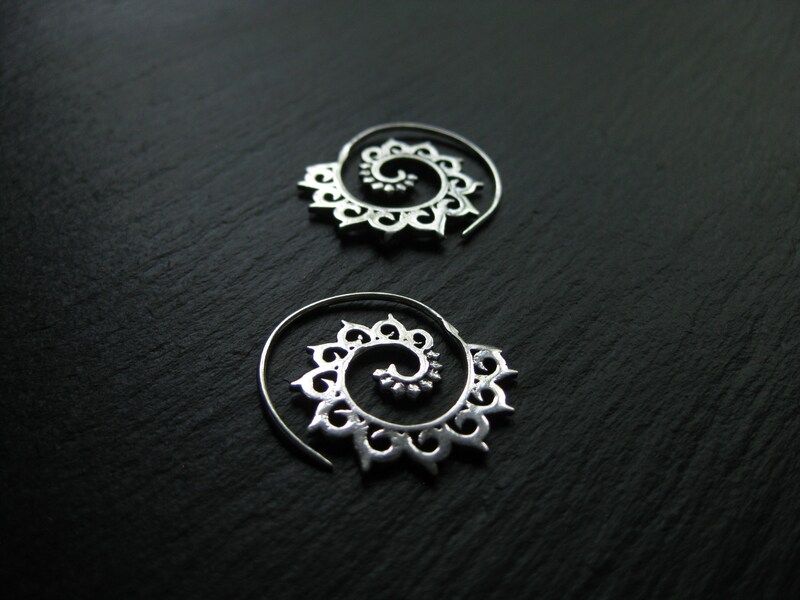 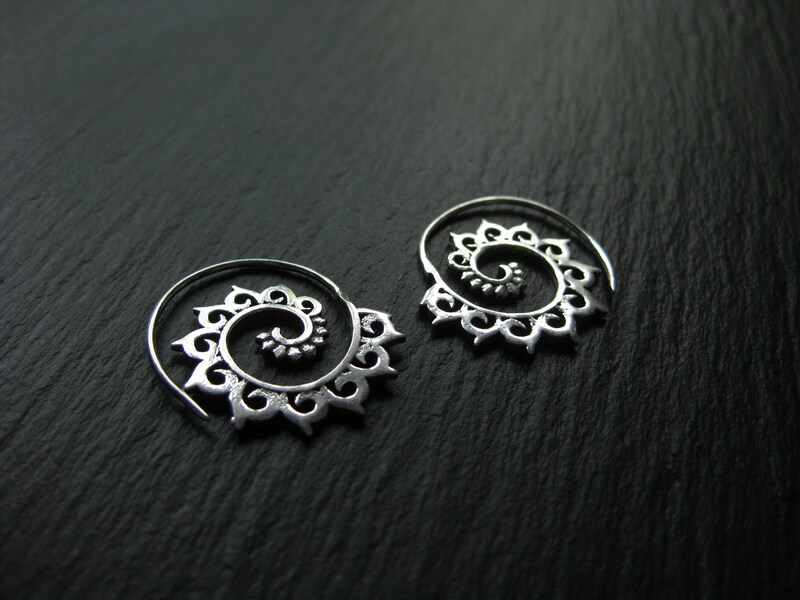 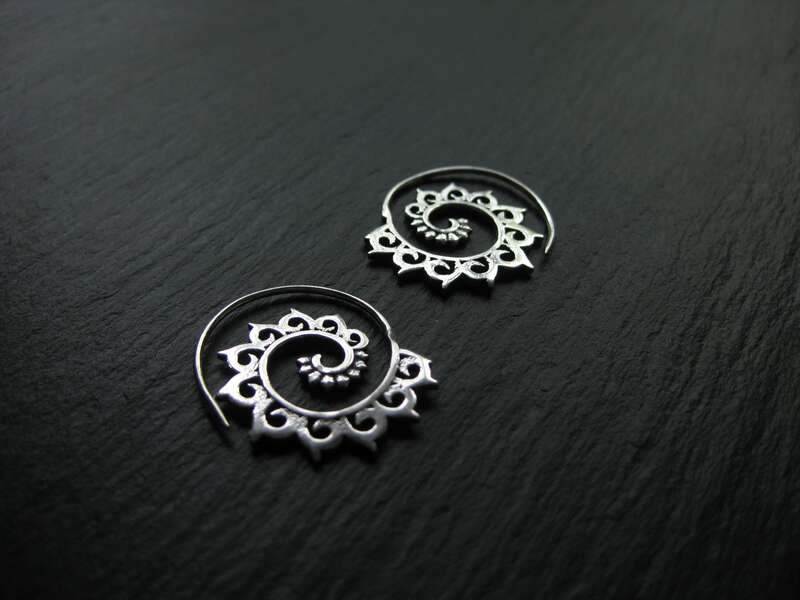 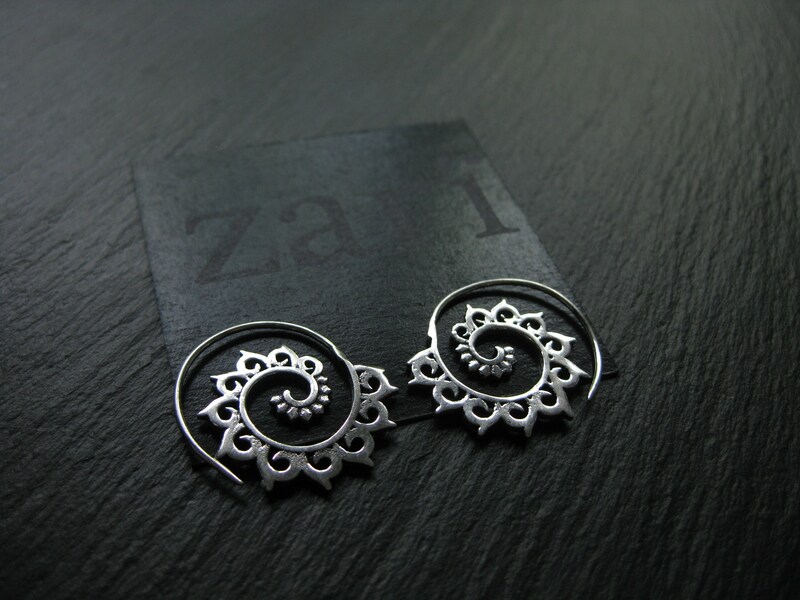 Dainty statement silver plated spiral threader hoop earrings with a tribal chic design. 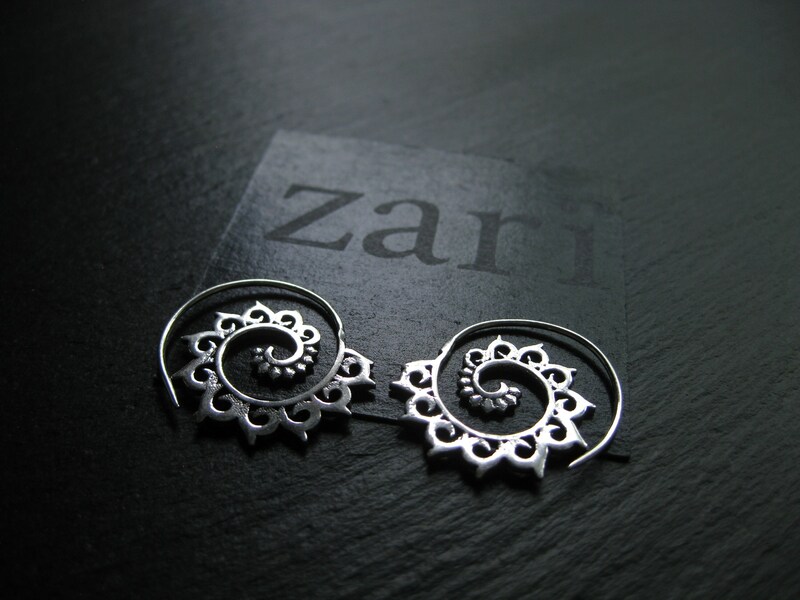 Super light and comfortable, the earwire is made for regular piercings: gently push it all the way through to the design and it will sit in place by itself (unless your piercings have been streched out). 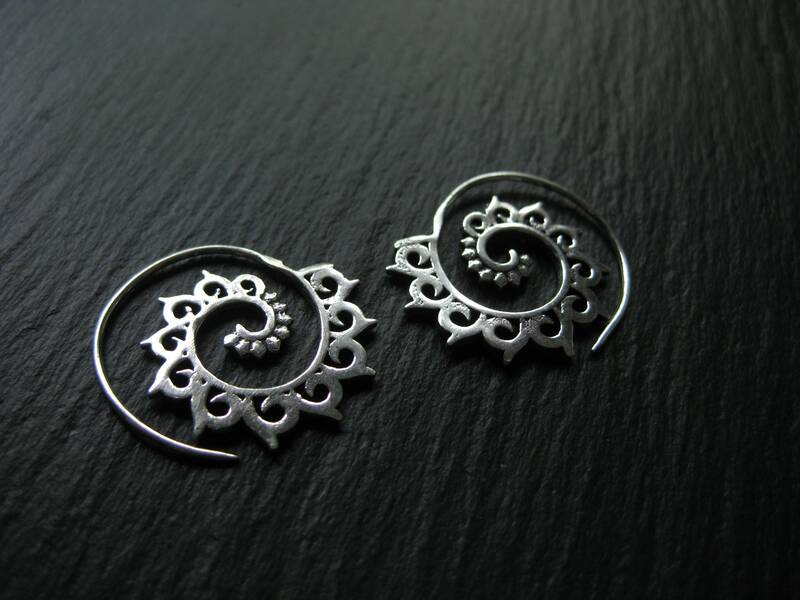 These earrings are made of brass plated silver.